Thank you for taking the time to read this article. This article promises to be low fat, NON-GMO, and gluten free; just kidding. This is simply an educational page within which I share the bolts I personally purchase when replaced them on a “X-Door”. This article is not intended to an exact parts list from the TM, just what I use. With all of the above said, if you have better recommendations, please feel free to educate us. My personal recommendation is for you to simply take apart your first door and store all of the bolts in a box. Then, take those to a place such as Fastenal and have them replicate everything in that box. 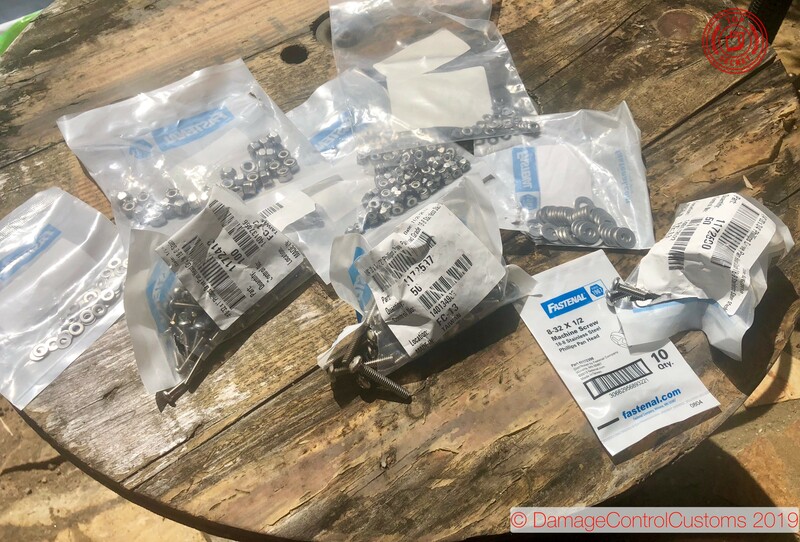 Finally, if you don’t wish to get the bolts yourself and want someone else to do it for you, then you can order a set of the bolts, nuts and washers I list below here. Please know that it will be cheaper if you simply buy the bolts direct. bolt: 1/4- 20 X 3/4″ Philips Drive Head grade 18-8 stainless steel. Note: These washers are slightly wider, so they will not fit behind the nut on the side for one of them nuts per side. You will need 6 of them, normally you’ll need 8 but because of the with two of them won’t fit with the rail (from the inside / behind the nut). bolt: 1/4- 20 X 1-1/2″ Philips Drive Head grade 18-8 stainless steel. bolt: #80-30X1″ S/S Pan Head 7’th. Note: If you have found a different part number that works better please let me know and I will update the post.